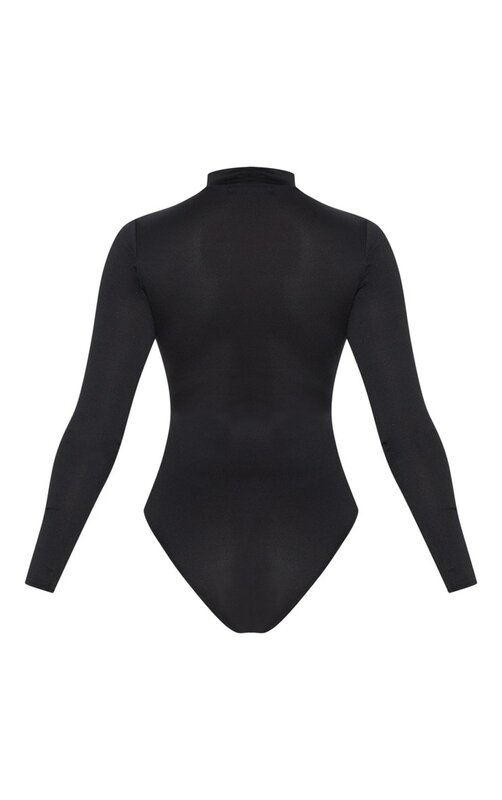 High neck bodysuits are perfect for the A/W season. Featuring a black jersey material with a high neck and a popper fastening. Team this with a pair of vinyl trousers and barely-there heels for a look we are totally loving.